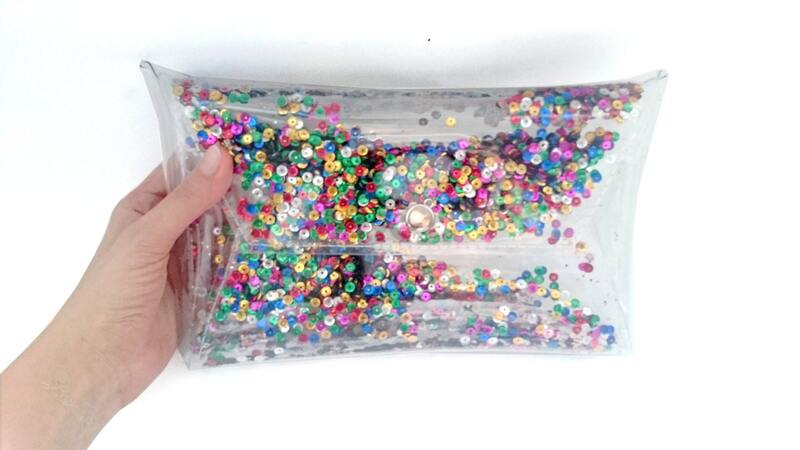 Ready to Ship amazing modern, clear clutch, metallic neon sequins, sparkle envelope bag with plastic wheels with a hole between two sheets of high quality foil. 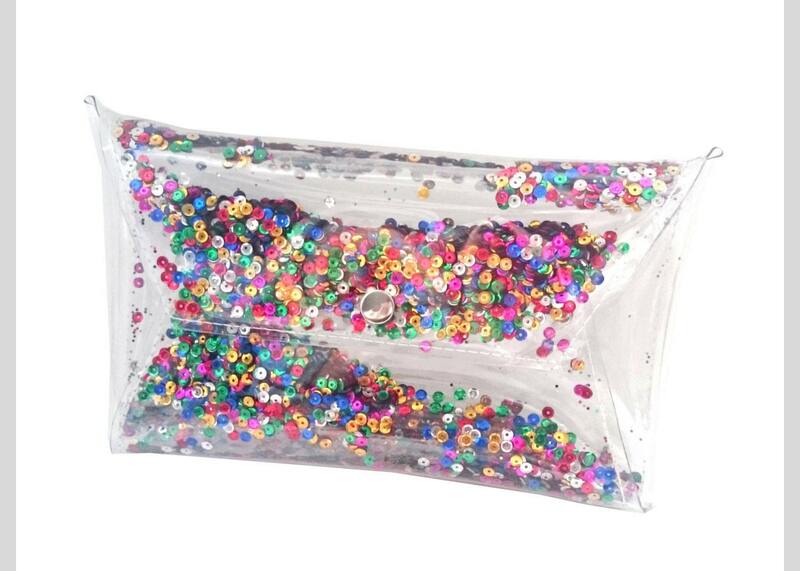 This adorable bag envelope ,sequins bag, clear clutch, purse bag bag with colorful sequins glitter made of transparent, high quality , recycling, resistant and waterproof PVC, vinyl foil. Unique and modern, perfect for making the difference.